My wife and I traveled with our 6 month old daughter to Treasure Island to visit family. picked up at a specific time. On both the pick up and drop off they were right on time. next time we're in the area. We are from Alberta Canada, spending the winter in Tampa Florida. We had guests visit with a 5 1/2 Month old. We rented a car seat (rear-facing) with accompaning stroller and an exersaucer from Gulf Coast Baby Beach & Bike Rentals. We would highly recommend them for your rental needs. Everything was clean and in working order for a great price! I would certainly use them again if an opportunity arises. Rented equipment for my 16 month old granddaughter's stay during our WI winter get-away stay this year. Used the new site in Madeira Beach. The people were very kind, helpful and prompt. The equipment was new, clean and easy to use: car seat, high chair, pack and play, stroller and toys. The beach stroller was perfect for getting the Princess and all her stuff to the beach for her introduction to sand and sea water. Thank you. I recommend your service very highly. You did so very well by us. We were fortunate to receive brand-new furniture. convenient and accommodating. Grandparents have to LOVE this service. Will certainly choose you in the future should the occasion arise. Thank you, thank you, thank you! Gulf Coast Baby, Beach & Bike Rentals, Inc.
using your services again and are telling all of our friends about it. Excellent service. Prompt, Courteous and wonderful selection of baby items! Cheers to you and your outstanding company! Guld Coast - a local company, instead of a more national company. I have no doubts I received much better, personal service from you than I would have gotten with them. You were always easy to get in touch with, even when we needed to change the delivery date in short notice. The toys, full-size crib and stroller were all in excellent shape and in as-new condition. Thanks so much for the wonderful rental experience and letting my little guy keep one of his favorite toys out of the box!! in the area again. They have great customer service and the best prices as well! happy to have a walker, crib, high chair, etc. for our granddaughter's comfort. The friendly, helpful staff was so appreciated. Our family recently vacationed in Indian Rocks Beach, Florida with our 2 young granddaughters ages 11 months and 21 months. We rented pack and plays, a car seat, a box of toys, sound machines and a few beach items. Everything was like new! The delivery and pick up was so convenient for us. Mike was very helpful over the phone and Lori, who delivered and picked up our rental items, was very kind and prompt. I would highly recommend Gulf Coast Baby, Beach and Bike Rentals to anyone visiting the gulf area. We also expressed our satisfaction to the owners of the house we rented. They were pleased to know of your company. They will be recommending you to all their renters with small children!! We were very pleased with the service.Everything arrived on time and was clean. It was also picked up when promised. We would recommend them and use them again and so would our granddaughter. My family was very pleased with the quality and cleanliness of the items rented from Gulf Coast Baby Rentals! We will be using this company for years to come. We were very satisfied - thank you!!! We rented four bikes and some beach gear from Gulf Coast Baby, Beach & Bike Rentals, Inc. They delivered the items to us at Treasure Island in a timely manner and were very responsive. If ever in the area again, I would rent from them again. Thank you Gulf Coast Baby, Beach & Bike Rentals, Inc! I was in a pinch as my 2-year-old had climbed out of the pack 'n play at our condo. Mike was able to quickly set me up with a crib - he was nice, flexible, responsive and the pickup/drop off at the self-service site made it very easy. Thanks again for your flexibility and great service! I recently rented a pack & play and a bouncy seat when my niece visited with her new baby. We were very pleased with the service & quality of those items. Thanks to Gulf Coast Baby, Beach & Bike Rentals the baby had a comfortable visit. I rented a stroller and pack 'n play at the last minute from Gulf Coast Baby, Beach & Bike Rentals, Inc. Both items were extremely clean, and they were so helpful! He dropped both items off at the condo's front door, and even offered to set up the pack 'n play for me. If you're vacationing in the St. Petersburg area, don't waste your money and energy checking baby supplies at the airport - call Gulf Coast Baby, Beach & Bike Rentals, Inc. instead! We usually drive to FL, but this trip we flew into Tampa and stayed in Indian Shores. We needed beach chairs and an umbrella. I asked at our condo office about renting the two wooden lounge chairs and umbrella on the beach..$125/week! We were soooo glad we found you on line. We were in Clearwater Beach area and wanted to rent bikes. The ones in Clearwater area were very expensive!!!! Found you on line and you even delivered the bikes and picked them up, also great price!! Thank You so much!! I rented a number of items from Gulf Coast Baby, Beach & Bike Rentals, Inc. for our trip to Clearwater. Specifically, we rented a high chair, travel crib, play yard, toy box, stroller, beach blanket, and family cabana. The items were in perfect order, and I particularly cannot say enough good things about the box of toys. Each one was selected with so much care and my son absolutely loved them. He could have played inside all day (which is what we were a little worried about having to happen, in case of rain.) Everyone was extremely nice and accommodating, particularly with last-minute changes to our order. I really can't say enough about their responsiveness and concern for the customer. Looking forward to renting from them next time and highly recommend! We were more than satisfied with our rental! Everything was so clean and just what we were told it would be. Delivered on time, set up and picked up....nothing could have been easier. Now just sorry I didn't add a kids bike to my order...just saw all the choices now. Next time. ​Mike went above and beyond the call of duty to coordinate the delivery of my rental bike. Everything worked great and I had a wonderful time touring the island. Can't wait to return! I had family coming to town for Christmas and rented several items for my very active 9-mongh-old grandson through Gulf Coast Baby, Beach & Bike Rentals, Inc. Mike of Gulf Coast Baby, Beach & Bike Rentals couldn't have been nicer or more helpful. The items were extremely clean. They even delivered the items and picked them up after my guests left. I will definitely recommend them to my friends and will use them again. Excellent service and excellent products. Went beyond normal expectations for quality service. We were very pleased with the folks in Maderia Beach as we rented supplies for our grandchildren's visit. Items were clean and/or new. The items were delivered and picked up on time. We will certainly use them again. 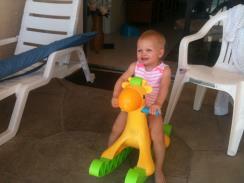 We rented rented a number of items from Gulf Coast Baby, Beach & Bike Rentals during our recent stay in St Pete's Beach. We appreciated the efforts to please our grandchildren as items were selected for their play. We were also very thankful for Mike's flexibility in drop-off times when our flights were delayed. We could not have asked for better customer service. We rented beach chairs from Baby, beach and bike rentals while in Treasure Island and the service could not have been better. They returned my call immediatley when I needed ro extend the rental..no problem! I wish I knew about this service years ago. Perfect! Thank you so much! 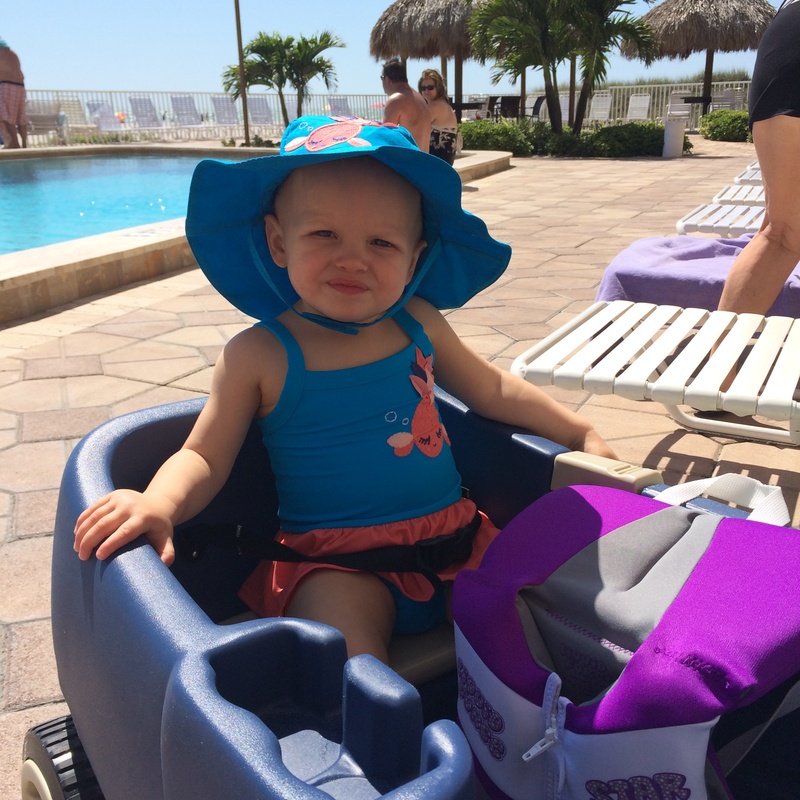 We used Gulf Coast Baby, Beach and Bike rentals during our trip to Treasure Island last week. They level of service and communication was excellent. We rented a pack n play and two bikes and a bike trailer. They delivered and picked-up everything from our hotel. It was perfect - having a rental car we weren't quite sure how we were going to be able to take advantage of biking - one of our favorite things to do. We will definitely use them again! We were very impressed with Gulf Coast Baby, Beach & Bike Rental. We rented the portable crib & box fan when our grandkids came to visit. We opted to pick up the products, using the self service option. It was very easy,efficient & your products were very clean & in good condition. Your facility also was pleasant & very clean. We definitely will be using you again. This was so convenient! Excellent service, well beyond expectations, would and will highly recommend to others looking for similar service. Our rental included, crib, stroller, highchair and toy box. We rented two of everything for our recent trip to Redington Beach with our twin daughters! They went over and above for us! They not only delivered items before we arrived they added toys for our twins and older son! It worked out great! They loved their Elmo beds! And immediately saw the stuffed plutos waiting at the door for us! They slept with them every night calling them our dogs name! Having highchairs made eating so much easier and a safety gate to stop escapees! An added unexpected bonus is a twins family discount! Thanks for helping make our trip great! We rented a crib, high chair and toys and could not have been happier. Our little guy slept so good and really enjoyed the box of toys. The staff is very very friendly and go out of there way to make things perfect. I would highly recommend them to anyone. We will definetely rent from them over and over again. THANK YOU. My two year old granddaughter still clutches the stuffed rabbit that came in last year's toy box. She would not give it up so I offered to buy it but was given it by the lady who met us to get our rentals. No question I would use your service again! We rented four bikes and they came with helmets, baskets, and locks. The prices here are better than any competitor, we called them all! They were professional, punctual, and just really kind people. Great company! Had a surprise visit from my daughter and 10 week old grandson while vacationing in Indian Shores. Needed to find a car seat travel system to pick them up at the airport. Found A to Z Baby Rental and they made it so easy. Ordered over the phone with Mike and picked the merchandise up at the Madeira Beach location and returned it the same way. Very convenient and professional. These people are nothing short of AMAZING. The service and products were excellent. Highly recommend. PS: You must get the toy box! 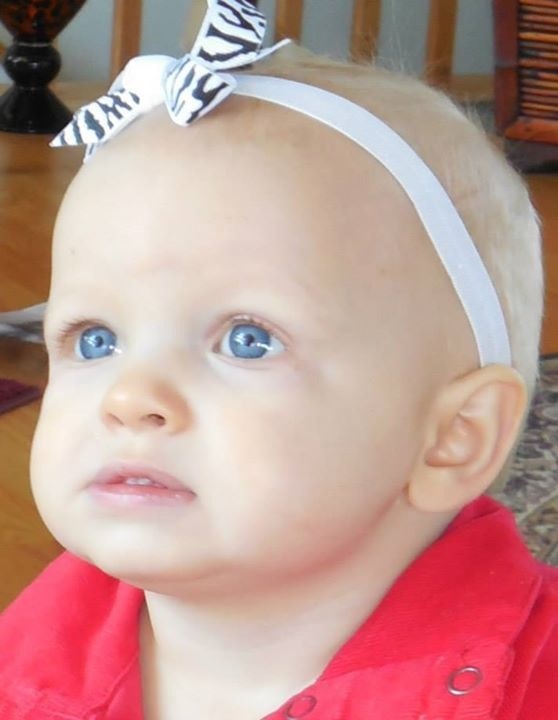 This February, our 14 month old granddaughter came for a visit. Thanks to the Gulf Coast Baby, Beach and Bike Rentals of Madeira Beach this visit went smoothly. The crib, highchair and car seat were all clean, and we're quality equipment. Delivered and picked up on time by the kind, caring owner. I would recommend this service to everyone who is hosting children. So easy, and great products. The baby gear we rented for our granddaughter's visit was very clean and in excellent condition. It made a very pleasant visit for all. Will definitely use again. Very satisfied with the self serve rental service. Rented a girls bike and they did not have one in stock but purchased to accommodate our request. Helmet & lock included- EXCELLENT! Will recommend this company to our friends and relatives. Our son was visiting with 2 small children. It was so easy and inexpensive to rent the items needed to keep the kids entertained , eat and sleep. Delivered and picked up on my schedule. Who can ask for more. So glad I found you ! Great service and so easy to use! Love the self- service pick up! Very pleased doing business with you guys. Prompt on time delivery. Bikes were nice and less expensive than on Clearwater Beach. I would definitely rent again. Thanks! This is the second year I rented from Gulf Coast Baby, Beach and Bike Rentals. They are a very polite and friendly company, and next year I will do the same. It's nice to know that these things can be rented and that they are in perfect condition. We are here in St Pete for our vacation and our two grandchildren visited from Milton, Ontario. Rather than carry two car seats on the plane, we ordered them from Gulf Coast Beach Bike and Baby rentals. We were extremely delighted with the service. Mike assisted us with great courtesy and knowledge and consequently pick-up and return of these items was easy. We will not hesitate to use this sevice next year and will inform our friends of our delight at the ease and good quality of your equipment. Thanks Mike and all who assisted. Mike at Gulf Coast Baby, Beach & Bike Rentals gave us amazing customer service. We have rented from many other bike companies at other beaches, and Mike surpassed all previous experiences. He was friendly, helpful, patient, and accommodating. We will be returning, and this will be our go-to company for rentals. Thank you! We rented a (brand new) umbrella stroller from GC Baby, Beach and Bike Rentals. We called them and reserved the stroller and 30 min later we could pick it up at the pick-up location. We would have had tough days, especially at Disney World, without the stroller. Staff is very friendly and service minded. I hope we are able to use your service soon again! We rented a full size crib during our recent stay. We reviewed many rental sites and found the cheapest rate at Gulf Coast Baby, Beach & Bike Rentals. We added in a booster seat to get the minimum amount for free delivery. Our flight was delayed but the items were left at our condo for when we arrived. All items were in like-new condition and we had no issues during our stay. Moved to St. Pete Beach area last Fall. My daughter/grandchildren have visited twice & both times I rented quite a few items from Gulf Coast Baby. All of the products were in perfect shape & clean. Delivery and pick-up was done on time and always with a smile! Will definitely use them again in the future. Thank you for making it so easy to acquire a double stroller for my 2 grandsons while they were visiting here in FL! It worked out perfectly .... And the pick-up and drop off were so convenient! We will definitely be renting again from Gulf Coast Baby, Beach and Bike Rentals! We needed a stroller for only a few days of our week-long visit. It was great that we didn't have to pay the extra money to rent for the entire week when we only needed it for a few days. All of the other companies had a one-week minimum fee. I also chose this company because we had the option to pick up and return our stroller and didn't have to be worried about being home or watching the clock for the stroller to be delivered. The stroller was in great condition and ordering and picking up was a quick and simple process. I would definitely rent from Gulf Coast Baby Rentals again. Thank you! Great service, including the weekends, and excellent communication and understanding of our needs! First class operation. Crib and equipment delivered and picked up exactly on time. Crib, high chair, beach equipment in excellent condition. I recommend Gulf Coast Baby, Beach and Bike Rentals to everyone. I will rent from them again. We rented from Gulf Coast Baby, Beach & Bike Rentals last week and they were wonderful! Extremely polite, on time and very accommodating! The products were clean and in good shape. I was very hesitant about renting baby equipment, but would 100% rent from this place again! Made our vacation go smoother than we expected! I would like to thank Mike for taking the time to call me and email me all info regarding us renting a full size crib with bumper. I was traveling from Montreal, Quebec to Clearwater Beach Florida for 10 days and I was panicked when the condo had no crib. The worries that went threw my head ( what if I don't have enough pillows to prevent my 10 month from falling off the bed, do I need to bring my video monitor to watch her every move, how will my husband and I sleep with our daughter in the same bed, what if my son comes to join us, 4 or us in the same bed) you can imagine when it's the first family vacation. But Mike assured me there was no problem in renting a full size crib and not a play pen like everyone else wanted to rent me. Our check in was at 4pm and when we arrived the crib was set up and ready for my baby. I was so relaxed when I saw it because I knew my daughter would have a good night sleep for the following 10 days. She felt like she was home and I had no worries about her safely. The crib was like new, clean and like I mentioned already assembled. The bumper pads were clean and cute. :) once again I would like to thank Gulf Coast and Mike for helping me have a stress free vacation. P.S the price was so great. Not like other companies at all. I have already started referring you to my friends and family. Great service - Mike was very friendly and helpful in meeting all of our needs. Everything was delivered and picked up in the 1-hour time slot promised and was all of great quality. Wish we would have found you 2 years ago. Perfect double stroller for our 2 kids. What a great deal too! Will definitely rent from you again! Thanks!!! Used the Self-Service location in Madeira Beach while staying at a beach house in Treasure Island. Needed 5 beach chairs, an umbrella and a cart. I found the beach equipment inventory offerings at A-to-Z BBB Rentals to be above expectations compared to other rental sites I researched on-line. The self-service pick-up and drop-off process is extremely convenient. Upon picking up the beach equipment, the equipment was clean, in excellent condition and was quality equipment! Mike (Manager) was responsive to my emails in a timely manner and offered excellent customer service. I will definitely use A-to-Z BBB Rentals on future beach vacations in the Madeira Beach area. Our family had a fantastic time on vacation thanks to your service! We rented a few items for our stay while we were there. The convenience of having the products waiting for us was fantastic! It made our stay with our 16 month old son more enjoyable! He loved the beach wagon, as did we! I will be using your service for years to come! I needed a portable crib, infant seat and stroller system, high chair and bath tub. It all came in excellent condition, when they said they would come (call you when they are coming)! They took the time to show me how each piece works, even brought bedding (I did not order but just in case). I would recommend to everyone who are needing anything! Very professional and very nice. I appreciate this service, as my granddaughter was visiting for only 5 days and was to much for my son to bring and to much money to buy for 5 days. Thanks for such a great service! I will use you again. Thank you for providing such a great service! Made our trip so much more successful! Renting a full size crib for our stay was so convenient and easy. Not to mention, the delivery and pick up service provided made the experience that much better. The entire process couldn't have gone smoother! We will definitely be renting again in the future! Mike, at Gulf Coast and Rentals, it is my pleasure to remark on our recent rental experience at Redington beach.We rented several items and I certainly appreciated the excellent customer service we received. Thank you. My husband and I and our 2 year daughter were staying at my Mother's house in Palm Harbor for two weeks and needed a crib, toys, play kitchen, gate and tricycle. We rented all of these items from Gulf Coast Baby, Beach & Bike Rentals, Inc. Everything was in great condition and clean! The service delivery was very good as well. Thanks for making our stay easy and pleasurable. Amazing products & service! I will rent from you again! We rented a Double Stroller, High Chair, Pack-N-Play, and Box of toys for our trip. Mike was very accommodating with our delayed flight and went the extra mile to make sure we received everything we had ordered. The stroller was practically new. After a full week visiting area attractions we asked our 3 year old her favorite part of the trip and she mentioned the toys from the toy box! I would rent from Gulf Coast Baby, Beach, and Bike again! My husband, 1.5 year old and I (mommy) could not have been more pleased with the products we rented and the service that came with them. We rented a full size crib on casters, a jumbo box of toys and a booster chair for eating. Everything was in great condition, clean and delivered and picked up promptly. Our little one loved the toys!! He slept well in the crib. He ate great in the booster chair. We will be using you from now on. Class act company A+++. We couldn't be happier with Gulf Coast! It was a wonderful experience, and they went above and beyond with their helpfulness. Our daughter and 2 friends all loved their bikes. Thank you so much! Baby, Beach and Bike Rental is a company that does what it promises. We know if we have a need while visiting our home on Saint Pete Beach all we have to do is call them. I have been amazed at how clean and well kept each of their products have been. We have rented from them baby beds, linens, books and toys for our grandchildren and have no fear for their safety, comfort and health. They deliver at your convenience and pick up when asked. The personnel have been totally professional and trustworthy. We give this company a five star rating and look forward to doing business with them again in the near future! We rented a full size crib. The crib quality was EXCELLENT. It was sturdy and very clean. Also the mattress was the best we have seen in a rental crib. It was thick and the mattress pad was clean and padded. Service was great. Thank you!!! We had to rent a crib because the airline lost our baggage. Thank you so much. The crib was new and mattress and bumper were freshly washed! 100% satisfied! Very, very happy for the second year in a row, renting equipment for our great grand child, Very efficient and friendly place to deal with. Thank you for helping make our vacation great. What a great business ethic! I botched up my online order and I called them to clarify. Well - they followed up with 3 - yes THREE - phone calls to ensure I was getting exactly what I ordered - when I needed them. I highly recommend doing business with them! Michael was a pleasure to work with, he called to verify all information including address, date and time of delivery. Crib was already delivered and assembled prior to our arrival. This is our 2nd time to use Gulf Coast Baby Rentals and both times we were extremely satisfied with the service but more importantly the safety and quality of the products. We have rented cribs, pack 'n play, highchair and toys. We will look no further than Gulf Coast Baby Rentals for any future trips. This is our third time using this company to rent full-size crib's for twin babies! We have been visiting family in town more often and they make it so, so easy and convenient! We have never had a hassle in fact they have gone out of their way to always make it so easy and what is best for us! We will continue to rent from this company for anything and everything including the cribs on our visits!!! They are more than accommodating they are so organized and they are hands-down the best company I have ever done business with! Thank you for making EVERYTHING so simple and non stressful!!! Traveling with three kids and twin babies can be extremely stressful and you always make it simple! Thank you!! Gulf Coast Baby rentals provided us with a crib and high hair for our Grandkids visit to Madeira Beach. The equipment was first class and the service was impeccable. Mike had all the time in the world for us during setup and instructions. Delivery and pick up were right on time with confirmation calls pror to. Our next door neighbours will be using your service next year based on our strong recommendation. Gulf Coast Baby, Beach Rentals were on time, very pleasant to deal with, amazing service. Will always use them when in the area. We just returned home from a 6-day stay in Clearwater Beach, where we stayed at a family condo. We needed a high chair, full size crib, booster (for grandpa's house) and a toy box (best idea EVER!) delivered to the condo in order to make our stay comfortable. The items arrived at the scheduled time, on the dot, were in pristine condition (the sheets and under cover for mattress smelled just laundered and were brand-new CLEAN! I take my own sheets ever where we go, so this is saying a lot). The toys were age appropriate, and perfect... several we had a home and were familiar, and there was also a good variety of news toys our 18-mth old had not played with. The highchair and booster were also in like new condition. No complaints, only raves. Mike and his wife were extremely wonderful to work with, and the prices were very good (I had checked around before selecting in GCBaby). Very happy we chose GCBaby for our recent rentals! Having a real crib for the baby was wonderful. She slept beautifully. Everyone can enjoy the vacation when she is well rested! Thanks so much for the great service. I told all my friends about you! We visited family in St. Petersburg last week and loved working with this company. We rented a full size crib for my toddler and chose the pick up option. The crib was the cheapest we found, and was clean and in great condition. It was great working with Mike at the Madeira Beach location. He called several times to make sure we had what we needed. Pick up and drop of was a breeze. Would definitely rent from them again! Mike was very prompt and efficient, the car seat, beach stroller, high chair and pack and play looked brand new. I would use them again. We just recently stayed in Madeira beach. We rented a baby exercise-saucer and bed, and a wheel chair for my mom for a trip to Disney World. The equipment was very clean, and it was very easy to reserve and pick up. The manager also was very nice and allowed me to rent the wheel chair for just one day (normally has a 3-day minimum). I would use their service again on future visits to the area. I have nothing but good things to say about Mike and his crew. The rental experience I had over this Christmas holiday was fantastic from deliver, set up and pick up. The crib was in excellent condition and the mattress and linens were immaculate. I would recommend this company to anyone! Do you have a photo of your little traveler using our equipment? Email it to us and we'll include it on our Photo Gallery page!